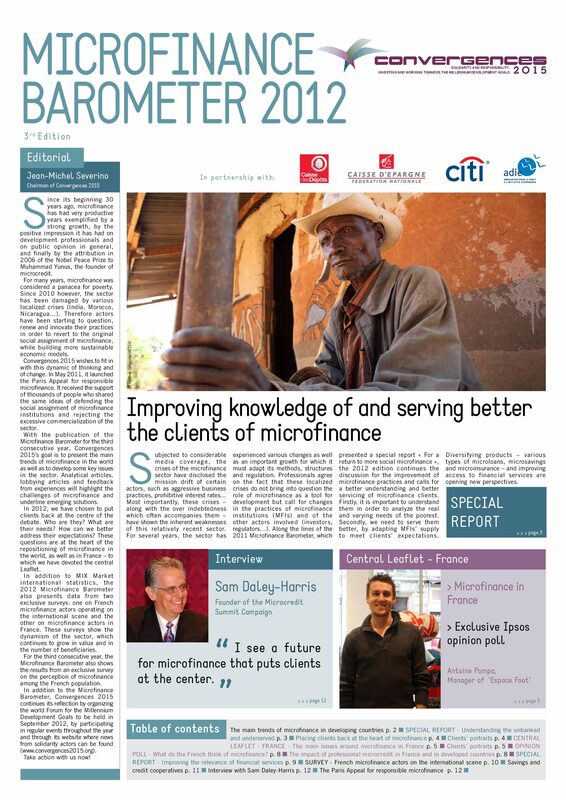 The 2018 Microfinance Barometer is now available ! 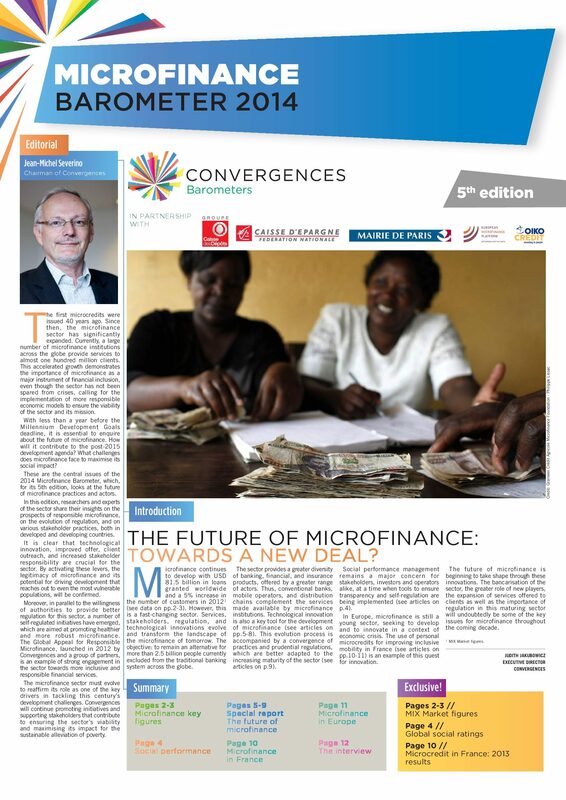 Every year since 2010, Convergences has been publishing the Microfinance Barometer, a publication that aims at showcasing the global trends of the sector, while raising awareness about the high impact microfinance initiatives and promoting best practices. 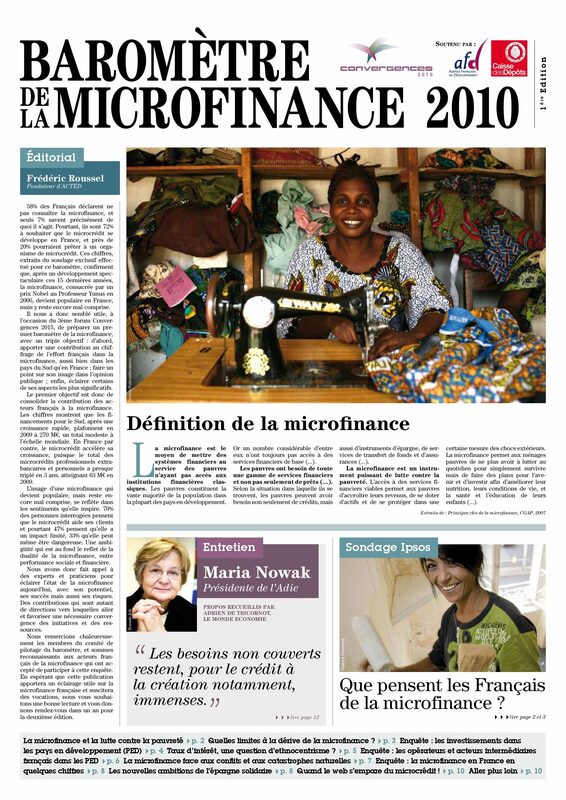 In 2017, the Barometer was listed as the most popular publication on the french version of the Microfinance Portal of the CGAP ! 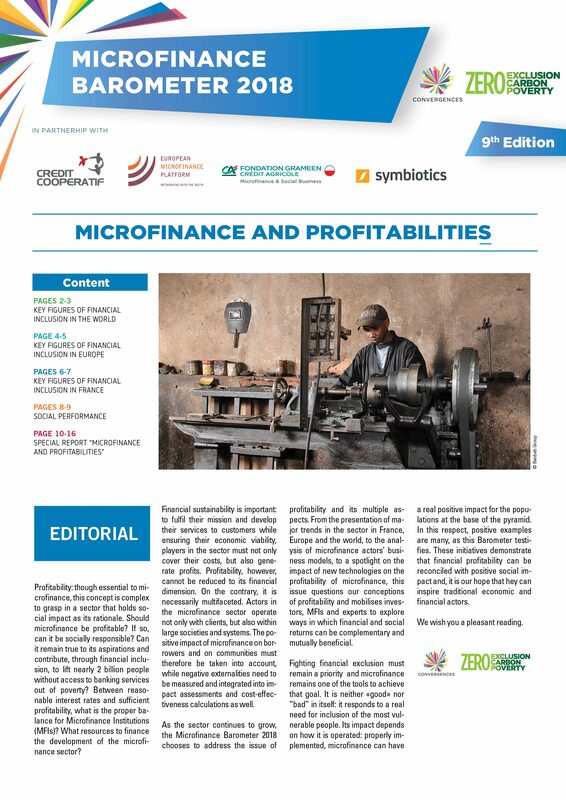 Entitled “Microfinance and Profitabilities”, the 9th edition of the Microfinance Barometer presents the key figures of the sector and explores the topic of profitability in its multiple aspects. 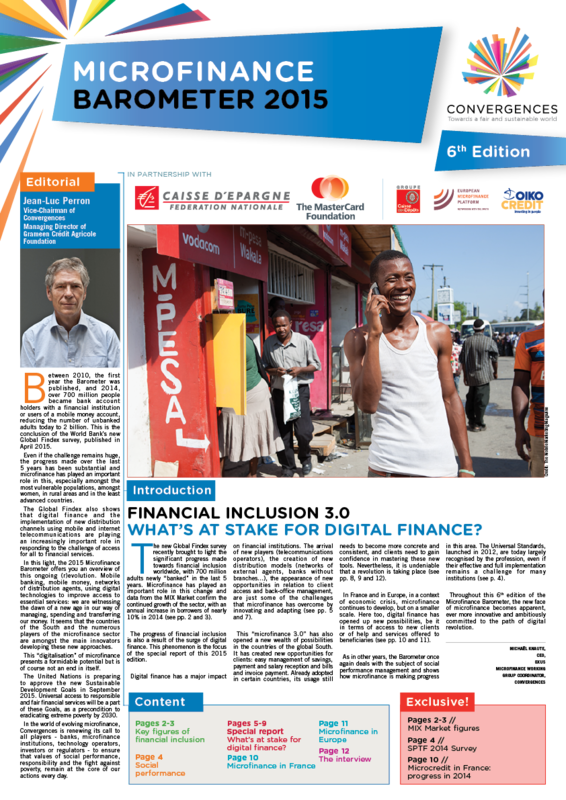 Should microfinance be profitable? If so, can it be profitable while remaining socially responsible? Can it remain true to its aspirations and contribute to lifting nearly 2 billion people out of poverty with no access to banking services through financial inclusion? 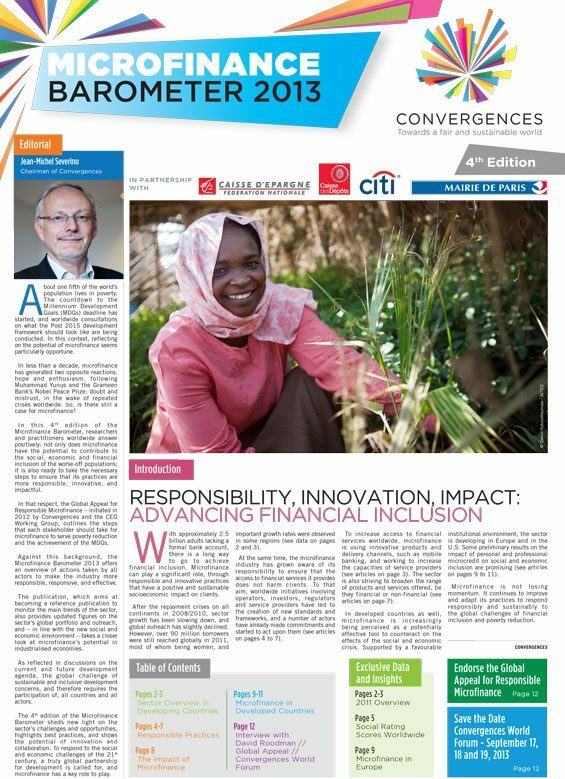 How to combine social performance and financial profitability to best serve the beneficiaries? 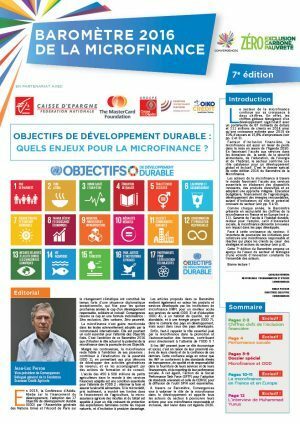 From microfinance institutions (MFIs) to investors, the Barometer offers different points of view and highlights the strong interdependence between social and economic performance. 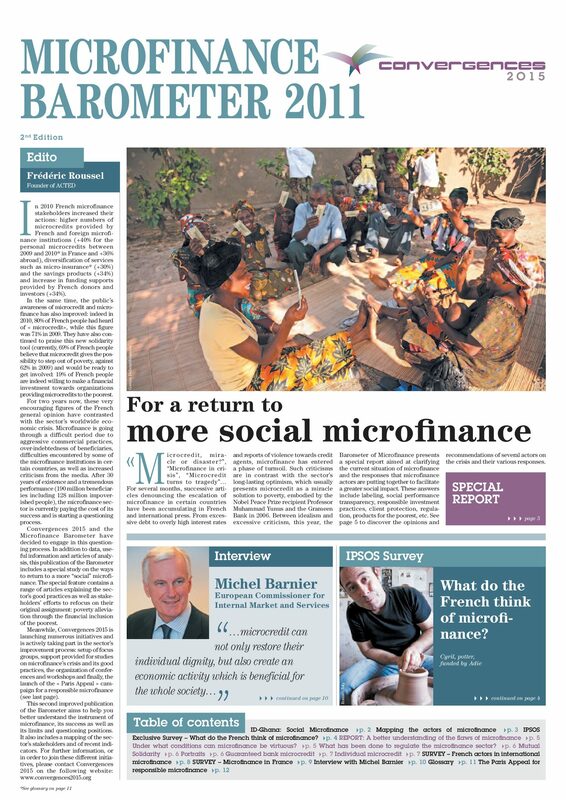 From case studies, expert analyses and investor interviews, this edition presents an overview of the profitability of microfinance, and provides important takeaways on the dual return – social and financial – of microfinance.